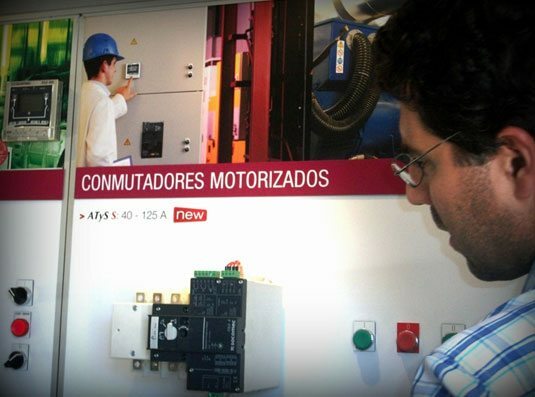 A differential relay is a security device that essentially fulfils two functions: to protect the generator from the possible indirect contacts that a generator might be subject to during installation and to offer earth leakage protection. The new differential relays allow visualisation in real time of the intensity fluctuations that can appear when there is permanent earth leakage. This warns technical staff and enables them to prevent problems that could cause a breakdown in the installation. Another feature of the new differential relays is their high tripping precision because of their sensitivity to True RMS value (with a digital multimeter* measuring effective value), which strengthens immunity to undesirable tripping. 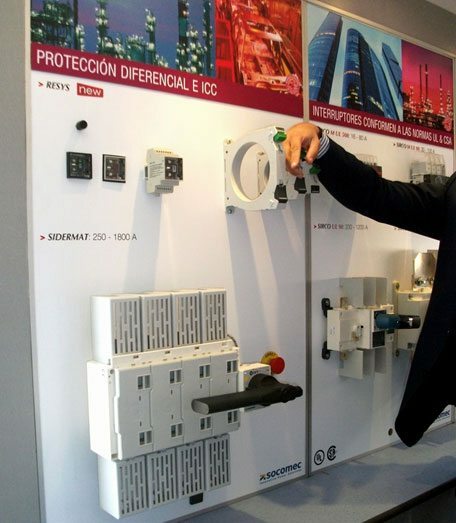 Motorised changeover switches are mainly used in emergency installations in order to disconnect from the mains and connect the generator to the load (installation) as well as the reverse process, depending on the mains supply. The new changeover switches are designed in such a way that the engine is powered interchangeably by the mains supply, by the generator, or by a 12V battery. Hence its functioning is no longer dependent on the system’s voltage. 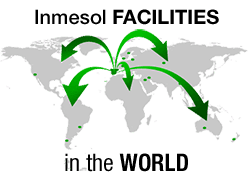 Inmesol has applied the versatility of the new supply system to latest models of the range of changeover switches from 40 to 125A. The changeover switches are notable for their small size and impressive compactness. * An instrument designed to measure electric current, voltage, and resistance.